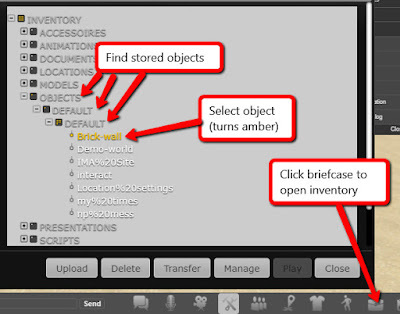 Virtual Outworlding: 2017 WW: Cybalounge: Storing and handling objects, including complex objects. 2017 WW: Cybalounge: Storing and handling objects, including complex objects. Another in a series of tutorials on building in Cybalounge. You have to be logged in with your password to do any of this. Click the tools (bottom line) to turn them on. Select the item: click on it. Click Actions, then Store Element. Click Store to complete the command. You take a copy into your inventory. The object also stays in the scene. You can remove it with another command under Action. 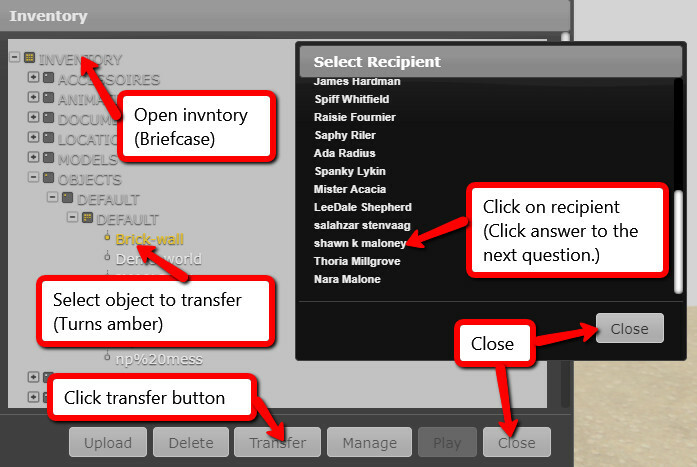 In the panel that opens, click the + next to Objects. Click the manage button (bottom). In the Manage panel, enter a description. Set the rights as you wish. 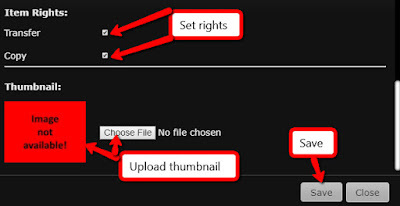 Upload a thumbnail if you want. Cybalounge with automatically resize the image as needed. 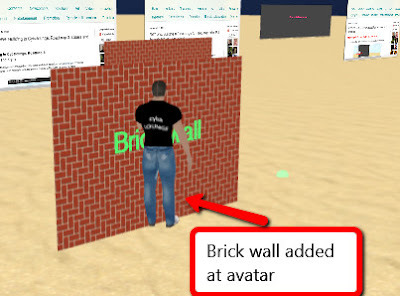 Stand about where you want to put the object. 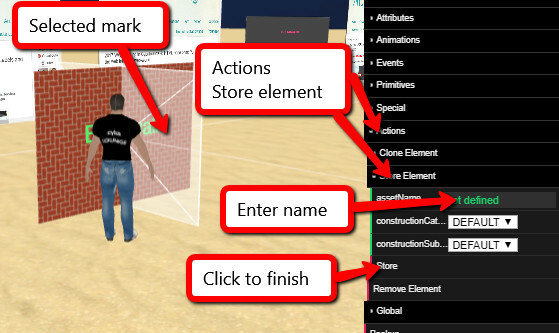 Click Primitives in the main command menu. Click Add Object in the sub-menu. 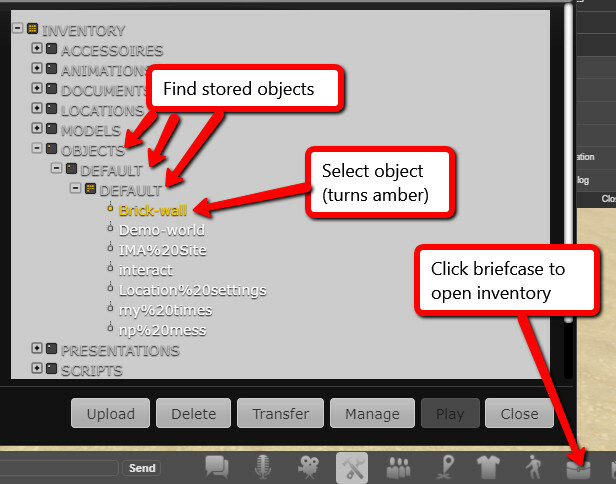 Select the object in the Select Object panel, click add. Find item, click to select. Select (click) recipient from window that opens. 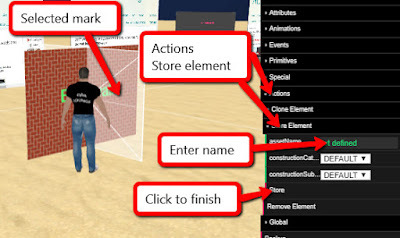 Select an object and the action and Clone Element buttons. Set the number of clones you want to create and the placement distances. The “Remove Element” function deletes the selected object and all it’s children. and see if I am in Selby's room or the Web Show room.